Former speaker taking the ‘high’ road? Well now. Former U.S. House Speaker John Boehner, who used to oppose legalization of marijuana, is now on board with it. He says he wants MJ legalized, marking a dramatic shift in the Ohio Republican’s former stance. In truth, he joins a list of prominent Republican public officials to extol the virtues of legalizing marijuana. Former Secretary of State George Schultz is on board; so was the late conservative icon William F. Buckley; same for noted GOP-minded economist Milton Friedman; the late Sen. Barry Goldwater, too. Former Speaker Boehner, as the West Texas saying goes, is walking through some mighty tall cotton by joining those individuals. According to National Public Radio: “I feel like I’m like your average American who over the years began to look at this a little differently and I think over the last five years my position, it has kind of softened up and softened up,” Boehner said. I suppose I could add that being liberated from the whims and wishes of political constituents who might believe differently had something to do with Boehner’s change of heart. I am leaning that way myself. Newly empowered U.S. House Democrats are playing with fire if they find a way to push their longtime congressional caucus leader out of the speakership. Nancy Pelosi once served as the nation’s (so far) only female speaker of the U.S. House of Representatives. She wants her old job back now that Democrats have retaken control of the People’s House. But … not so fast, Mme. Presumptive Speaker. Let’s ponder this for a moment. The 2018 midterm election resulted in more than 100 women will join the House in January 2019. That makes this the Year of the Woman. Or does it? I happen to believe Pelosi deserves to become speaker when the new Congress convenes next year. Thus, I want to caution the Democratic insurgents that they are dousing their own message if they manage to boot the veteran lawmaker out of the office she presumes is hers for the taking. 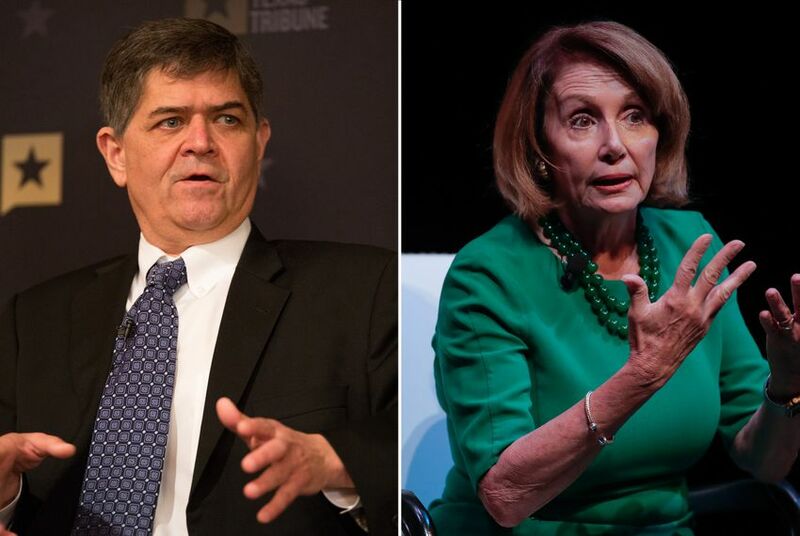 I just learned that one of the Democratic insurgents is U.S. Rep. Filemon Vela of Brownsville, who is casting doubt on Pelosi’s intended speakership. He says he believes “new leadership” is in order. Yes, that’s a man saying it. Pelosi’s first tenure as speaker (2007-2011) proved to be successful in terms of her organizational skills and her ability to hold her party caucus together. Indeed, she enjoyed far more success at that aspect of her job than her two Republican successors as speaker — John Boehner of Ohio and Paul Ryan of Wisconsin — who had to battle with TEA Party and Freedom Caucus members of their own caucus. It was on Pelosi’s watch that Democrats were able to enact the Affordable Care Act, legislation I consider to be a success. So now Democrats think they need “new leadership”? They don’t, even though Pelosi has become a favorite punching bag for Republicans to pummel whenever they can find the opportunity. Indeed, one could hear Pelosi’s name in TV ads criticizing Democratic candidates for Congress. Here’s the catch: One of those Democrats, Colin Allred, had been joined at the hip to Pelosi by North Texas U.S. Rep. Pete Sessions; however, Allred defeated the Republican Sessions in the midterm election. So, is it really a negative to be led by a speaker who knows how to legislate, how to organize an unruly body of lawmakers? I don’t believe so. 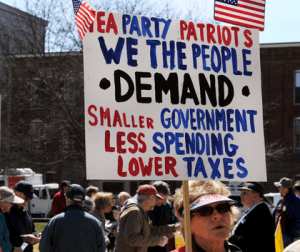 My advice to House Democrats? Be very careful if you seek to topple Nancy Pelosi in this Year of the Woman. 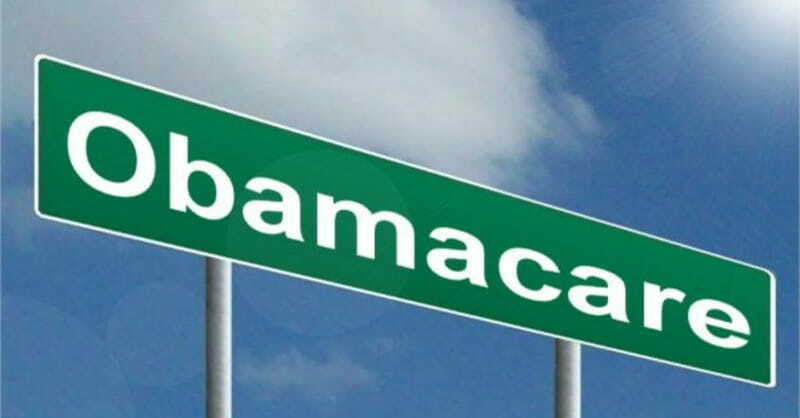 Do you recall the GOP lawsuit to toss out Obamacare? Once upon a time — it now seems so long ago — then-U.S. House Speaker John Boehner filed a lawsuit that sought to overturn the Affordable Care Act. Barack Obama was president of the United States. Boehner and his congressional Republican colleagues had tried but failed to toss out the ACA. 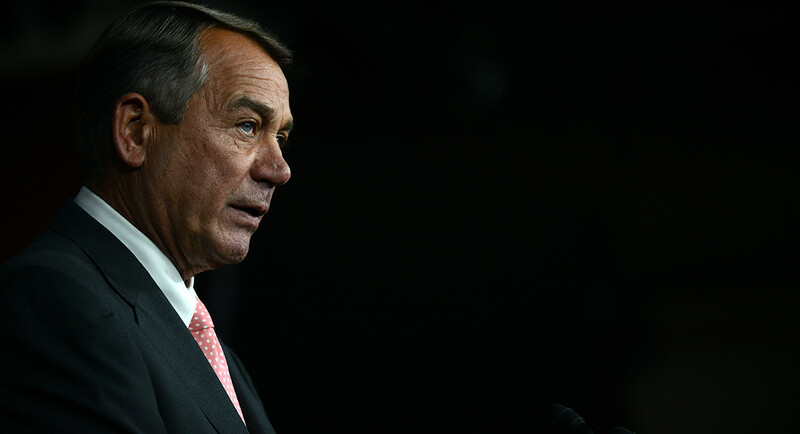 So, Boehner thought he’d try another course, through the court system. Then a funny thing happened. Boehner quit the speakership and left Congress. He got really frustrated with the TEA Party wing of his Republican caucus in the House. So he walked away. Oh yeah, then we had this election in 2016 and a Republican, Donald J. Trump, got elected president. He’s tried to toss out the ACA, too. He cannot get the job done. I keep wondering: Whatever became of that lawsuit? Boehner seems to have walked completely away from the public policy discussion that fueled so much of his awake time when he was speaker of the House. As for the court system, I keep wondering if it has taken a powder on this notion of adjudicating a civil lawsuit that seeks to rid the law books of the Affordable Care Act. 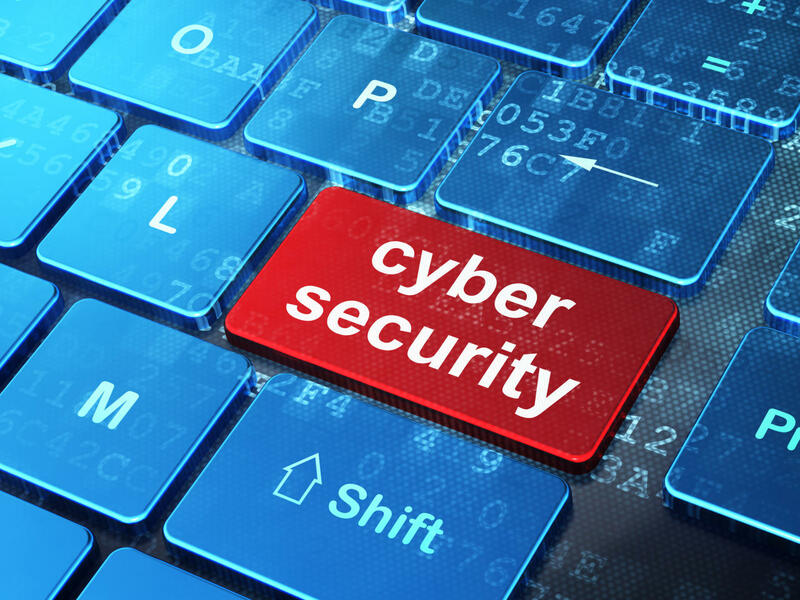 Is the law perfect? No. Is it the “disaster” that Donald Trump says it is? No. It has put millions of Americans on health insurance who otherwise didn’t qualify or who couldn’t afford it. As for the Boehner lawsuit he filed with considerable fanfare before he decided he’d had it up to here with the TEA Party, its dormant status suggests to me that when it came to throwing his weight around, the House speaker was all hat and no cattle. 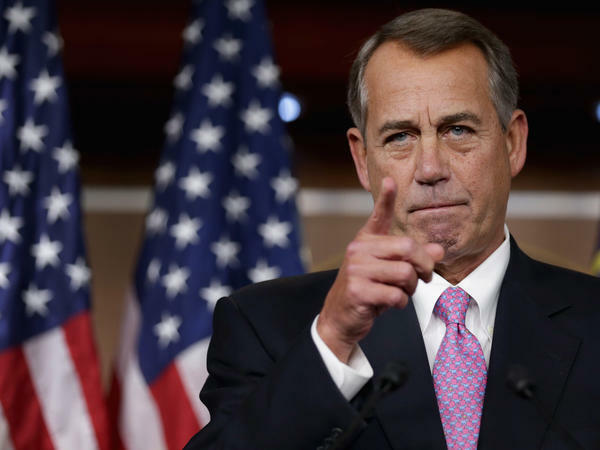 John Boehner has been involved in national politics longer than most of us. The former speaker of the House of Representatives, therefore, has plenty of relevant thoughts to share about the state of politics today. The Republican politician says his party has taken a powder. It no longer exists. It’s now the Trump Party. That’s not a big surprise. A lot of us have seen the GOP surrender itself to the whims and the anger fomented by someone who had never sought a public office of any kind before running for president. But then Boehner offered an interesting analysis concerning Trump and his 2016 election foe, Hillary Rodham Clinton. According to Politico: Boehner cracked that Trump and his 2016 general election foe, Democratic nominee Hillary Clinton, were likely “the two most surprised people in the entire world” when the president clinched his victory. And he speculated that the president’s stunning defeat of Clinton likely did not sit well with first lady Melania Trump. Really? Do you think, Mr. Speaker? I’ll just add that the election outcome surprised a lot of us. Count me as one American who never saw it coming. As for Donald Trump and whether he has prepared sufficiently for the challenges that continue to loom in front of him, my sense is that he is nowhere close to getting it. Most unusual? Do you think? It’s no secret that the U.S. House of Representatives Republican majority at times can turn into an unruly bunch. The TEA party faction, along with the arch-conservative Freedom Caucus, drove former Speaker John Boehner batty enough to make him quit. 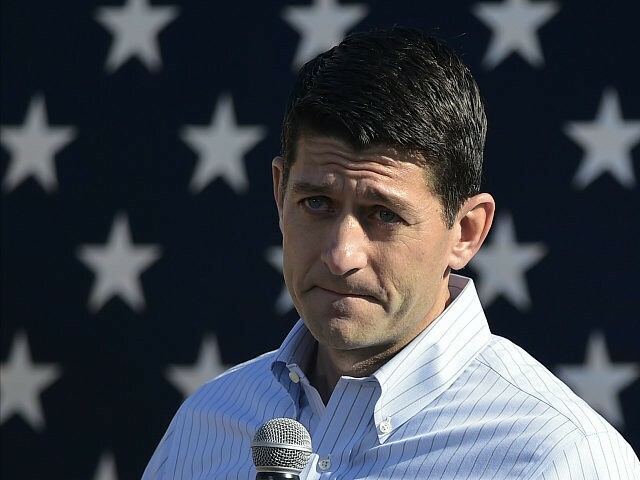 Boehner’s successor, Paul Ryan, is getting the same treatment. The House Freedom Caucus helped torpedo a new farm bill for reasons that hardly anything to do with farm policy. Ryan is a lame duck. He isn’t seeking re-election to the House from Wisconsin. Indeed, his speakership has been no picnic from the get-go. 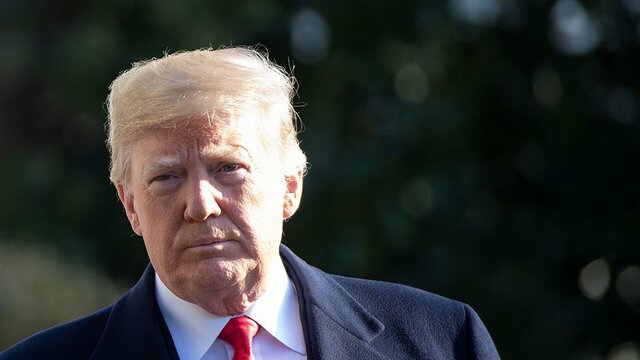 He now is finding it difficult to keep his own partisan troops in line, let alone getting any help from Democratic House members who don’t much like or respect him to begin with. The House bill became inextricably linked with immigration after the Freedom Caucus demanded a vote on the conservative measure as moderates neared the 206 signatures needed to force a vote on a separate immigration plan that falls well short of the proposal pushed for by the White House. Despite leadership offering the group of conservative hardliners a vote on the immigration measure in June, the members refused to back the legislation. House conservatives seemingly want to poison an important aid to farmers and ranchers with an issue that ought to stand on its own. As for the speaker, he told the country he had to be dragged kicking and screaming to seek the job he now holds. I guess he meant it. Speaker Ryan’s remaining time as the Man of the House appears headed for a rocky conclusion. It’s not every day that the chaplain of the U.S. House of Representatives finds his or her name in the news. The Rev. Patrick Conroy has just entered a new realm of celebrity status. 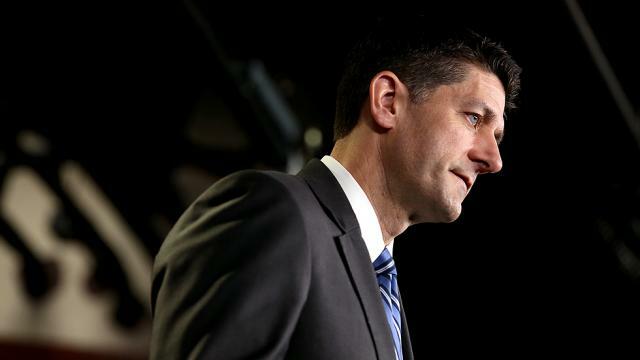 House Speaker Paul Ryan asked Fr. Conroy to resign — but he hasn’t told the chaplain why he wants him out. What’s going on here? Why push the House’s spiritual leader out of the way? Fr. 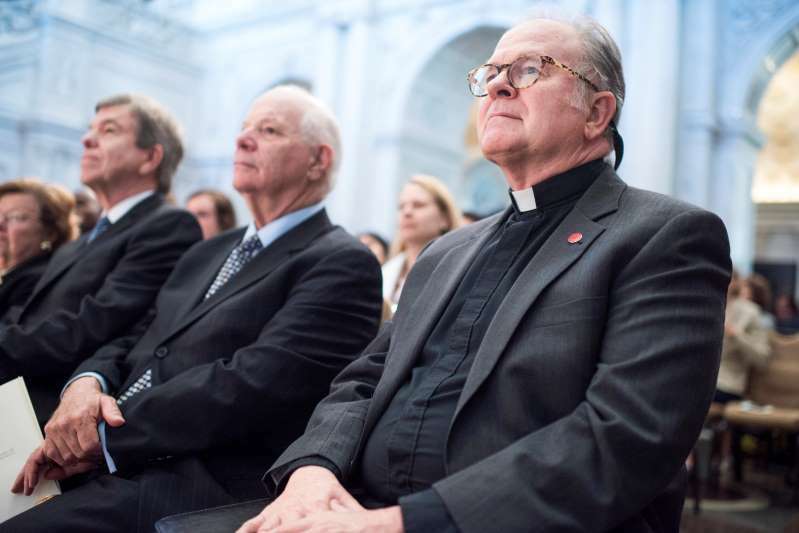 Conroy, a Jesuit priest, has served as chaplain since 2011; then-Speaker John Boehner, selected him. Boehner left office. Ryan — another Catholic — succeeded him as the Man of the House. Now, Ryan wants Fr. Conroy to hit the road. The New York Times reports: Father Conroy’s resignation is all the more contentious in Catholic circles because Mr. Ryan is a Catholic conservative, whereas Father Conroy is a Jesuit, a branch that is viewed by some as more liberal. To his huge credit, Fr. Conroy has declined to engage in that discussion. I certainly understand that we are functioning in highly contentious times these days. To ask the chaplain of the House, the fellow who opens congressional sessions with an invocation seems to take contentiousness to a new level. Speaker Ryan not only owes the chaplain an explanation, but he ought to give offer one as well to the rest of us. He doesn’t need reminding, but I’ll do so anyway: The speaker works for us. Those of us who pay for the People’s House deserve an explanation, too. Come clean, Mr. Speaker.